Chabot is participating in Tea Collection’s School Days fundraiser from October 13 to October 20. What does this mean? 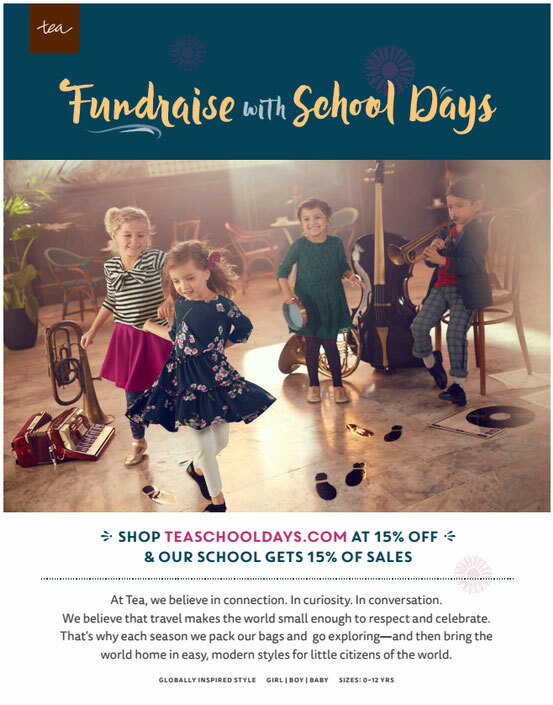 You shop TeaSchoolDays.com, at 15% off plus free shipping AND our school gets 15% of each sale. No promo code needed, just select our school at checkout. Mark your calendars! Please help us spread the word by telling your friends!